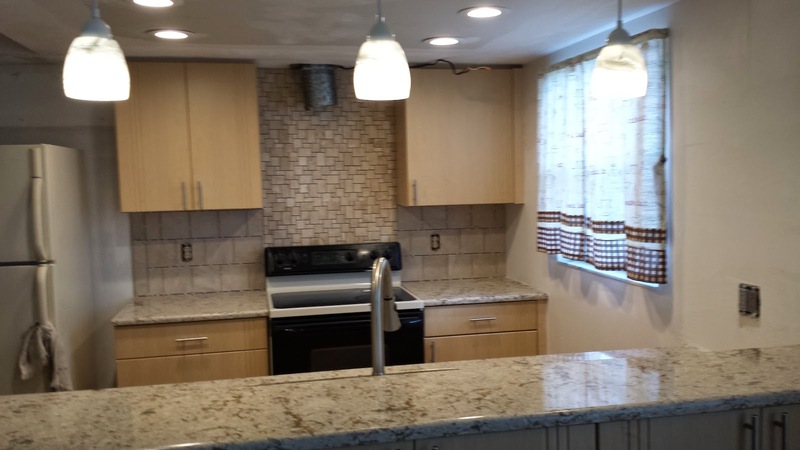 This summer we started a remodel of the kitchen in the house. It has been a long process but the end is in the horizon. Right now they are finishing up with the tile and some small things. 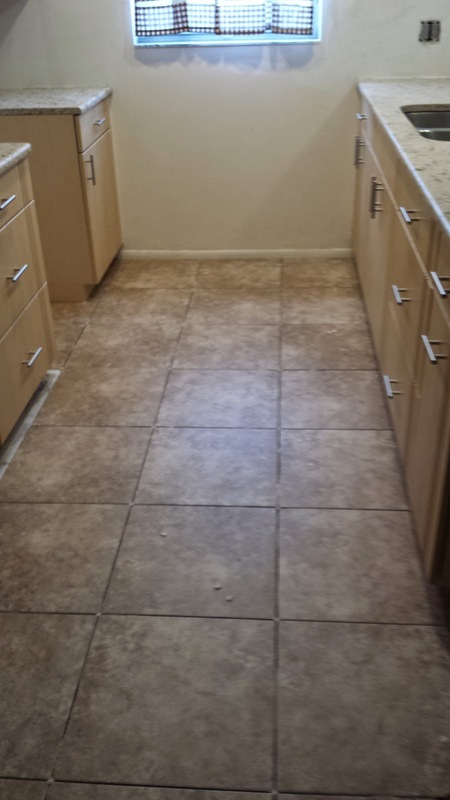 Then we need to paint and get the new appliances (fridge and stove) in. 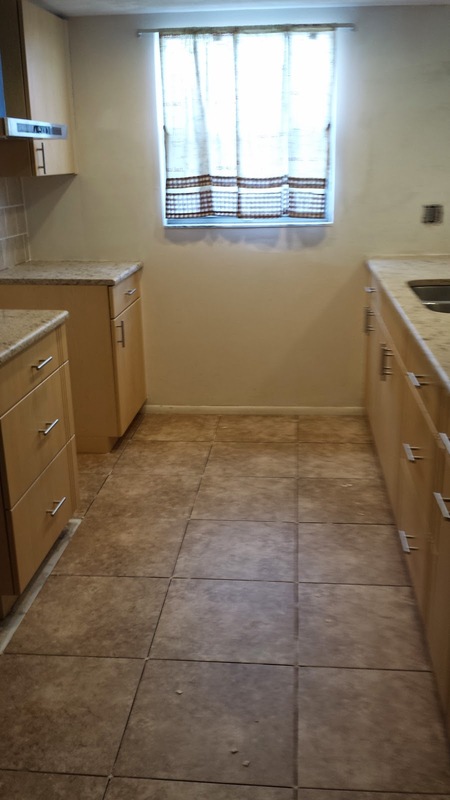 Originally the kitchen was very dark with over hanging cabinets ( will do a before and after once it is complete). Now it is light and airy. Right after they put the counters in-man talk about glue high. 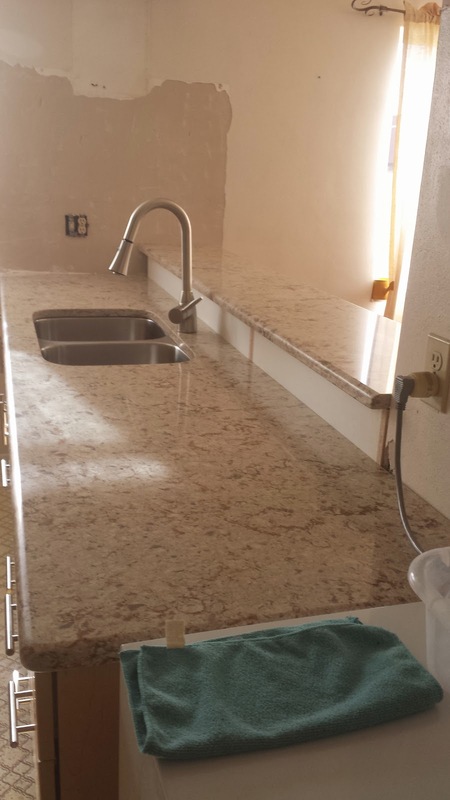 The counters are from Parthenon Marble and Granite in NPR/PR. We got lucky they were a stock items so we save quite a bit of $$. We replaced the over head fluorescent light with LED cans and drop lighting- where the three drops are once had cabinets. We had a mosaic like pattern put in behind the oven and a different one as the back-splash. 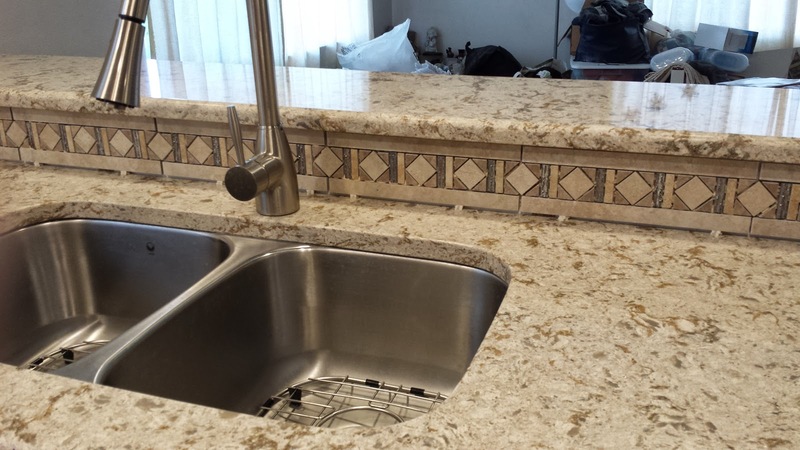 Close up of the counter and back-splash tile. The bar raise is not a bar but a bank of cabinets to store seasonal things, overflow and cookbooks and cooking related magazines. Tile got laid yesterday and will be finished today along with grouting. Then it is painting and finishing stuff. What is funny- I just realized- The colors of the kitchen are kind of what was in the kitchen curtain. 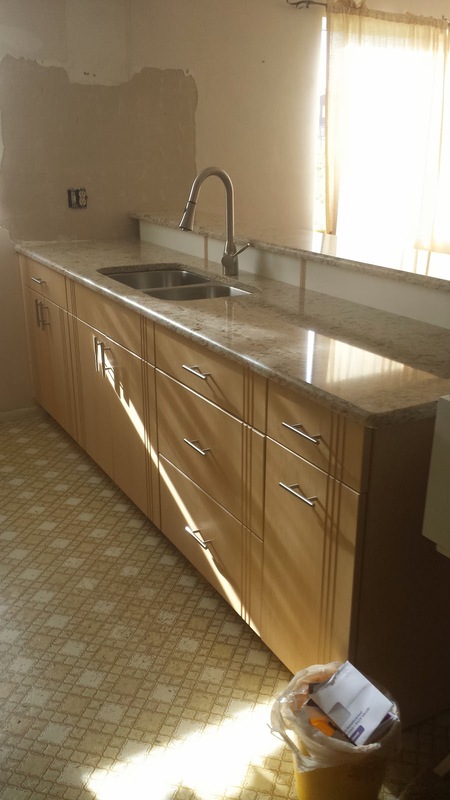 Our goal was to lighten and brighten the kitchen, better storage, and have a kitchen that could be considered classic looking and will not look dated 10 years from now.